Last week I talked about the issues around setting extreme goals. I love to talk about long term goals, about where we visualize ourselves in a year, two years, or five years down the road. It gives us a destination, something to see ourselves at in the long term. There’s nothing wrong with setting high standards for yourself, but it’s important to take into consideration the path we have to take to get to the destination. The end goal is only a small part of the journey you will take to get there. 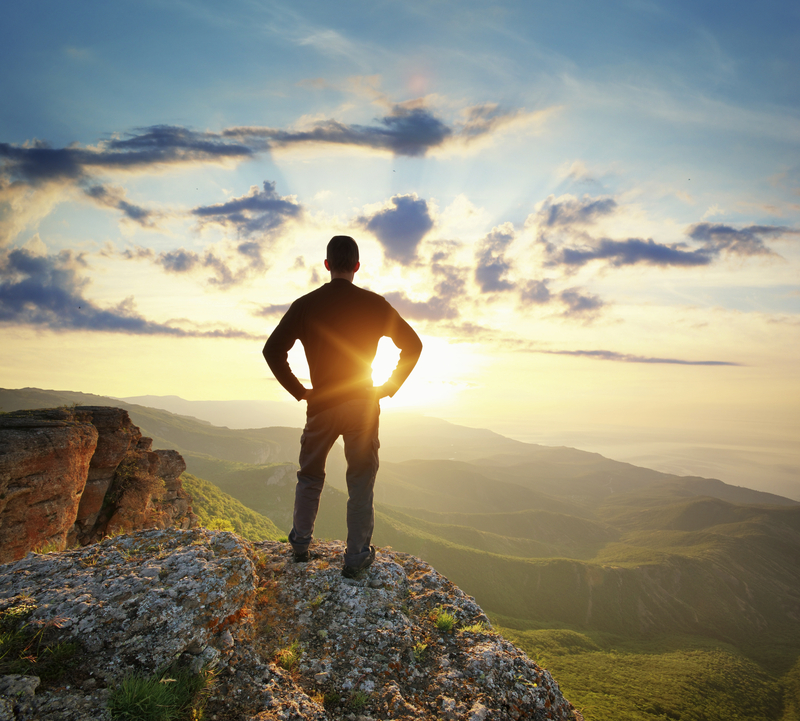 Sometimes, even just setting big goals can seem impossible. Surmounting your obstacles and achieving your goal can seem as difficult as reaching the peak of Everest. It’s a long way to the top, and there’s going to be a lot of difficulty on the process. For some, this is the hardest part of starting at the gym; just making the plan to start on the journey. So how do you reach these big goals? To answer that, I want you to think way back to your time in school, or perhaps during a particular job you had to be trained for. I like to think about a math class in grade school, where we were introduced to basic multiplication tables. Now I don’t know about you, but I remember multiplication tables were extremely confusing to me. We had to write out and memorize hundreds of tables, and just when I was starting to get the hang of the 7s (7 times 3, 7 times 4, 7 times 5…) the teacher would throw 8s at us. It was a huge challenge, and sometimes it felt insurmountable. But a year later, I had it. And my class and I were moving on to division. And then basic algebra, and then geometry, and so on. Today, it might take a few seconds to recall the numbers, but doing basic math is second nature anymore. Boomer Fitness does the exact same thing with fitness. We think about your end goal, and we plan a roadmap of how we’re going to get you to your exercise destination. We break up the time you’re coming into the gym into 4 week segments, and discuss what the short-term goals are for each particular segment. When you come into the gym, we don’t automatically start exercising with the 45 lb. dumbbells. We start you at 10 lbs. And then if you make progress with those, we move up to 15 lbs. And then when you make progress, to 20 lbs. After a few months, you’ll notice those 10 lb weights don’t feel like anything anymore, especially when compared to the weights you’re lifting now. Achieving something doesn’t happen in a 2 minute montage, like most 80s action movies lead us to believe. It takes a lot of time and a lot of work, and sometimes it seems like progress is insubstantial. But when we look at where we’re going, and where we’ve come from, we start to see how much progress we’ve made. So make those long term goals. Plan on climbing a mountain, but make sure you reach base camp first. 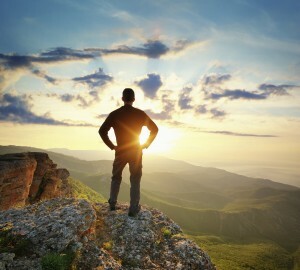 Ready to start climbing your mountain? Email Me, and we’ll get you set up with a tour of the gym! Setting Goals, and Knowing What it Takes. I love setting goals. Giving us a target to aim for is the very first step of visualizing ourselves at the end of the journey. It allows us to see how much progress we’ve made, and how much farther we need to go to complete our journey. Whether it’s running a marathon, summiting Dog Mountain, or walking up the 3 flights of stairs unwinded, each long-term goal is equally worthy of your time. But what about setting goals that push us even farther? What if you have bigger dreams, like running in the next Iron Man. Maybe you see yourself competing in a bodybuilding competition, or just getting down to 10% body fat. How hard could it be? Far be it from me to tell you what you cannot achieve. If you can set your mind to it, you can and will become the next Iron Man or Woman. But what about the other side of getting lean? We see movie stars and bodybuilders who have the 6-pack abs, the enormous muscles, and the extremely low levels of body fat percentages. What does it really take to get to that level of fitness? What I want to do is make sure you’re aware of what you’re getting yourself into before going down that long road, and determine if you even want to go down that road to begin with. 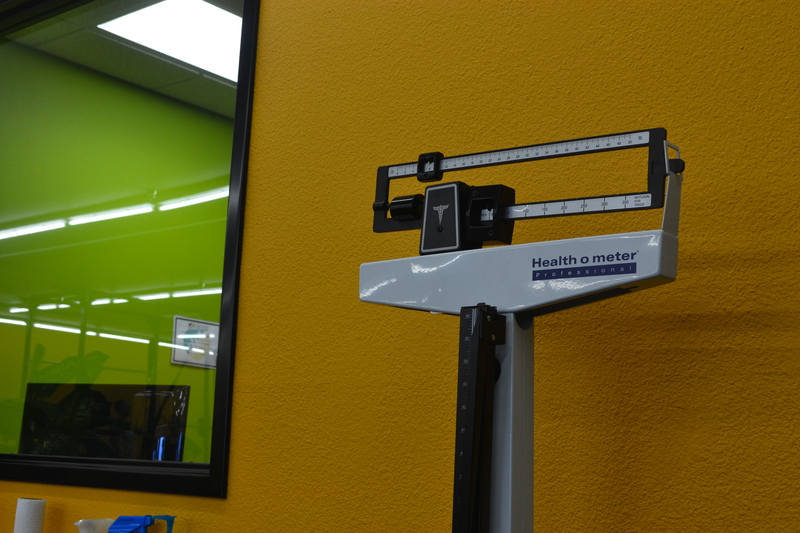 Let me tell you a little bit about my experience getting to a low body fat percentage. During my time as a Personal Trainer, I’ve seen a lot of colleagues go through the difficult process of getting ready for a bodybuilding championship. Keep in mind that this is with personal trainers who live and dream personal fitness. As they get closer to the big day, the competitor must make their fitness the most important part of their daily lives. Diets become extremely restricted, with a big focus on high protein and no excess carbohydrates. Instead of just visiting the gym when it’s convenient, bodybuilders must be prepared to dedicate a lot of time to exercise. Resistance training and cardio become daily activities, making sure the body is working to its highest potential. Time dedicated to working on their body starts to cut into their social life. Hobbies and personal time will start to get pushed aside for more time that could be spent at the gym. 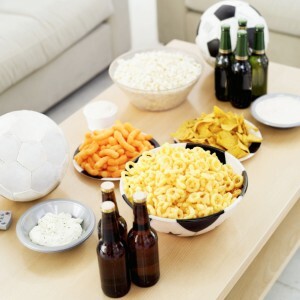 Socializing at events where food is involved becomes more difficult, as dietary needs take a higher priority. Let me tell you that this is from personal experience. During my time getting ready for a show, the time I normally spend socializing with friends and family was profoundly affected. The time I wasn’t working was almost entirely dedicated to prepping for the show. Eating wasn’t something I could enjoy anymore; it was entirely dedicated to making sure I had enough proteins and nutrients, and absolutely nothing in excess. Take a look at this diagram from Precise Nutrition, which outlines what you can expect when you start to reach the upper limit of personal fitness. The more fit you become, the more time it requires to maintain your physical standard. The lower body fat percentage you are aiming for, the less margin for error. Why am I telling you this? As a personal trainer, aren’t I supposed to be keeping it positive? Why tell you about the negative parts of body building? As a personal trainer, I want you to know what it’s going to take to attain your goals, good and bad. I don’t want to scare you away from attaining any of your goals. You might be willing to go on a severely restricted diet. You might be willing to put in the extra time and extra repetitions required. And I can tell you right now that when you’re walking on stage at the next Bodybuilding competition, or when you’re crossing the finish line at the next Iron Man Triathalon, I will be cheering the loudest at the sidelines. What I want to do is make sure you know exactly what’s required. Keep you eyes open for my next blog, where I’ll write about setting healthy goals, and how even small steps can pave the way for big changes. Last Tuesday, I had a bit to say about breaking up routine. Doing the same exercises every time you head to the gym will get easier, but that doesn’t mean it will be better for your fitness growth. Like a lot of fitness advice, sometimes it can appear to be easier said than done. 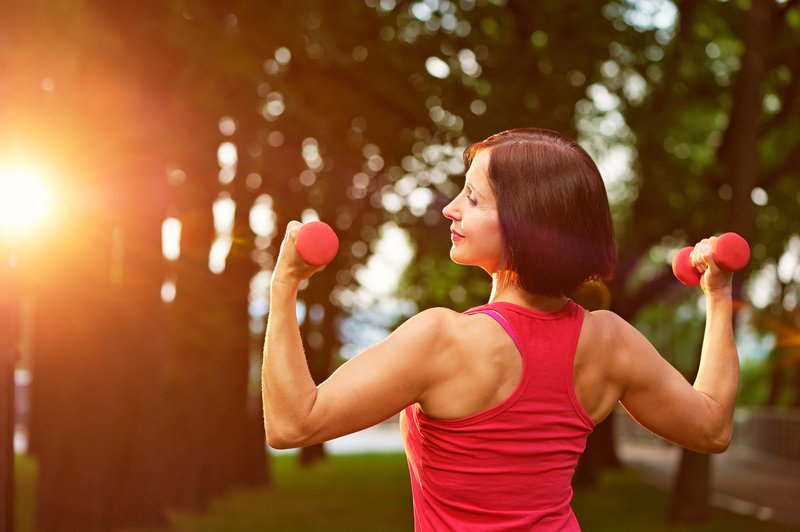 Routine is hard to break – it’s natural for your body to want to take the easy way out. How to we shift our focus from doing the easy program to doing the correct program? 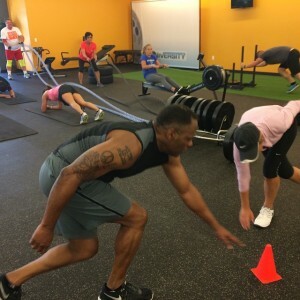 At Boomer Fitness, we know that taking the easy way doesn’t help us reach our goals. Progress becomes an illusion as our bodies exert less energy each time we repeat. You have to exercise new muscles and make your body find new challenges. So enough about why. How do we break up routine? How to we get out of the rut of doing the same work-out over and over again? The first thing you have to do is stop watching the calorie counter on the treadmill. To this day, I don’t understand how these fitness machines can claim they know the exact number of calories you have burned. 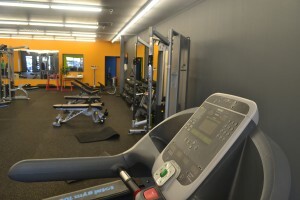 Every single person walking on that machine has a different background, different fitness goals, different body types. No digital calorie tracker on a workout machine is going to accurately measure how much energy you have burned. Instead of letting a machine record it’s version of the truth for you, it’s important to keep track of your past history in the gym yourself. If you spent some cardio time on the cycle machine the last time you were in, try the elliptical. If you were on the elliptical last time, challenge yourself with the stair master. 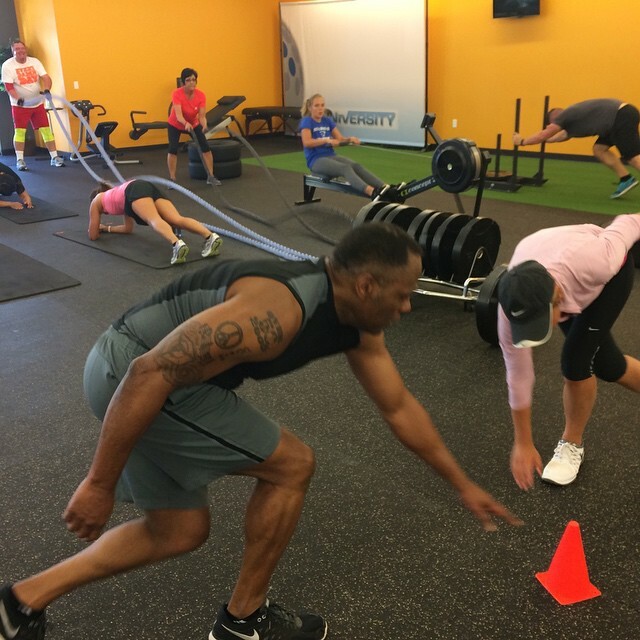 At Boomer Fitness, we can help you break out of your routine even more. All of our trainers track our members weekly progress including the exercise schedule, the repetitions, and the amount of weight used. Each program is unique, which means we will base the days workout on what needs to be focused on to reach your pre-determined goals. When we’re starting you on your fitness plan, we will usually break up your schedule so we work on a different part of your body each time you come in. Each program is broken up into four week intervals, which allows us to mix it up a little and get all of your muscles involved. The next day you come in, we might focus primarily on legs. We can do squats, burpees, lunges, and other workouts best suited for your legs .The next day might be arms with some weight machines. Next time, we might focus on your core. And then the next day we might work with your back, your chest, your shoulders… every day is a new variable. It’s difficult, and your body will certainly resist changing up your schedule every time you come in. You’re going to want to work on the things you know, because doing something different means learning how to use new muscles. No one ever said making the change is easy. But you know it works because you are working for it. 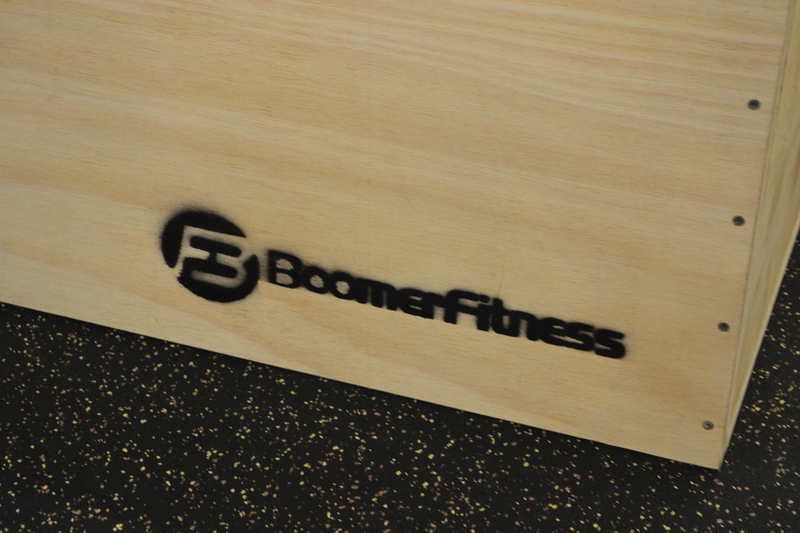 You will feel better knowing that you put in a solid day of work at Boomer Fitness. Email me when you’re ready to make a positive change in your life. The hardest part about making a difference is taking this first step. It can be difficult getting yourself to a gym weeks at a time for results that sometimes seem small. Other times the barriers of starting just seem too high, and not worth overcoming. This brings up a big question for potential gym-goers: How old is too old? Is there an age requirement at the front door that keeps everyone over the age of 39 out? The obvious answer is no, but sometimes that’s easier said than understood. A client of mine was talking about her father who endured a major lifestyle change late in life, and it reminds me of just how little age really matters when we want to start an active lifestyle. We’ll call her father Rob. Rob lived an active lifestyle in his earlier years, which allowed him to age relatively gracefully as he got older. Even in his mid 70s, Rob was still walking the golf course three to five times a week, actively playing tennis, and traveling abroad whenever he had the chance. During his travels, Rob had an accident, falling down a set of stone stairs in Istanbul and tearing up both of his knees. 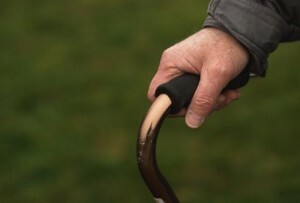 He had emergency surgery and endured months of physical therapy, but was told that as a man headed into his 80s, he would never be able to walk unassisted again. Now for some people at Robs age, two torn-up knees and a prognosis like that might mean spending the rest of his life glued to a walker. And for a while, Rob was glued to a walker. After living a life of constant movement, suddenly being confined to the house was not an enjoyable concept. But from his point of view, he had little to no choice. This was just a part of getting old. But after months of relying on others for transportation, some good natured ribbing from friends, and some guidance from family members, Rob decided to do something about his sedentary condition, old age or not. Rob started going to the gym, worked with a personal trainer, and set a tangible goal for his future: to walk around the block without a cane. For someone who could walk 18 holes in an afternoon, a block might seem inconsequential, but Rob knew he had to start somewhere. He began leg exercises, started a healthy diet, and kept at his scheduled work-outs. And it payed off. Today, Rob is walking around the neighborhood unassisted, playing golf, and traveling up and down the coast. He still carries the walker in the trunk, but mostly for peace of mind than for actual use. Rob still has a lot of progress in his future, but he is already miles ahead of where he started. There’s a lesson we can learn from Rob, and it’s something I hope you spend some time thinking about this coming week. Rob decided that spending the rest of his life on an easy chair was not an acceptable future, and decided to do something about it. He set goals for himself, made a commitment, and stuck to his regiment. Age isn’t the barrier we face. 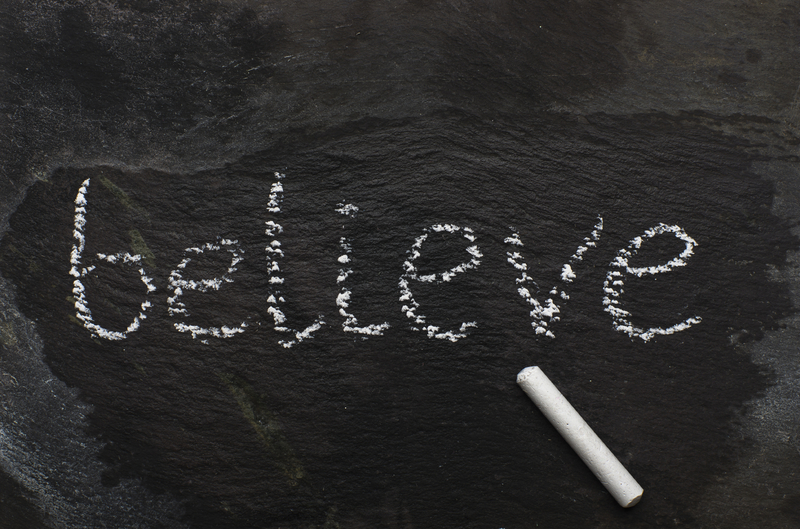 It’s the belief that age somehow defines what we can or cannot do. Rob, an 82 year old man who had to relearn how to walk, has no excuses. So what’s yours? Well, the game is over. The Patriots won a solid victory, and more importantly, the Packers are now undefeated for the 2015 season! If you know me, you probably know I wasn’t such a fan of the Superbowl this year. But I know many of you were watching yesterday, and I’m sure there was plenty of buffalo wings, barbecue sauce, and beer to be had. There’s nothing wrong with celebrating once in a while, especially at such a big occasion as the Superbowl. But after an event like this where we tend to go overboard on junk food, it’s a good idea to reflect on what we put in our body. So what exactly did we eat this last Sunday? I want to take a brief look at some common Superbowl Foods that may have graced your coffee table this weekend, and give you an idea of what you were really eating this weekend. 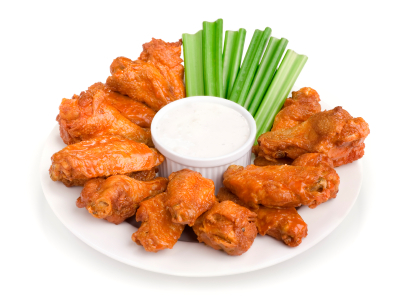 Buffalo Wings – You don’t have to convince me! Buffalo wings are a delicious part of any Superbowl party, especially when you get just the right kind of sauce. But before you start preheating the oven, be sure to check the nutrition facts! Many store bought buffalo wings are extremely high in sodium and cholesterol, both of which aren’t too great for the heart Another thing to remember is in many cases, a serving size is as little as 3 wings (100 grams). How many wings did you have this weekend? Potato Chips – No party, especially a Superbowl party, is complete without a big bowl of potato chips, right? While potato chips have become a staple of party food, they are also very high in fat and calories, leading to a higher risk of weight gain and obesity. Even one ounce (around 15 – 20 chips) of plain, unsalted chips have about 10 grams of fat and more than 150 calories. Fried Foods – More generalized than the first two, but many parties serve deep fried foods to guests, and it’s likely many of you had something that made its way into a deep fryer. This can be anything from fried chicken, onion rings, jalapeno poppers… you get the picture. When frying foods, a lot of oil can get absorbed, which can contribute to weight gain, higher cholesterol, higher blood pressure… all leading to a higher chance of type 2 diabetes. Beer – We all have our personal taste when it comes to flavors, but it’s a fair argument that a lot of beer is consumed during the Superbowl. It doesn’t help that the Superbowl has plenty of ads catering to beer consumers across the nation. While it’s true that occasional beer and wine consumption can be considered beneficial, excessive drinking can lead to heart disease, liver disease, and even pancreatitis. Don’t worry though, the occasional beer won’t lead you down the road to ruin. Just don’t go overboard. So that’s enough doom and gloom. Hindsight is always 20/20. It’s easy to say “I should have” or “I shouldn’t have” when it comes to dietary choices, and many don’t look beyond mistakes they have made in the past. That’s not what I’m about. Instead of dwelling on prior mistakes, I know that it’s important to acknowledge how we’ve lived in the past, made the decision to change, and then move forward from here. It’s about making the conscious choice to do something differently. This Thursday, I plan on taking a look at some flavorful alternatives, helping us ween ourselves off unhealthy foods and making wholesome choices. Most importantly, however, I want to explore how to make healthy choices without sacrificing taste and flavor. Make sure you check in to see how to escape the Postgame Superbowl Blues, and start eating right!